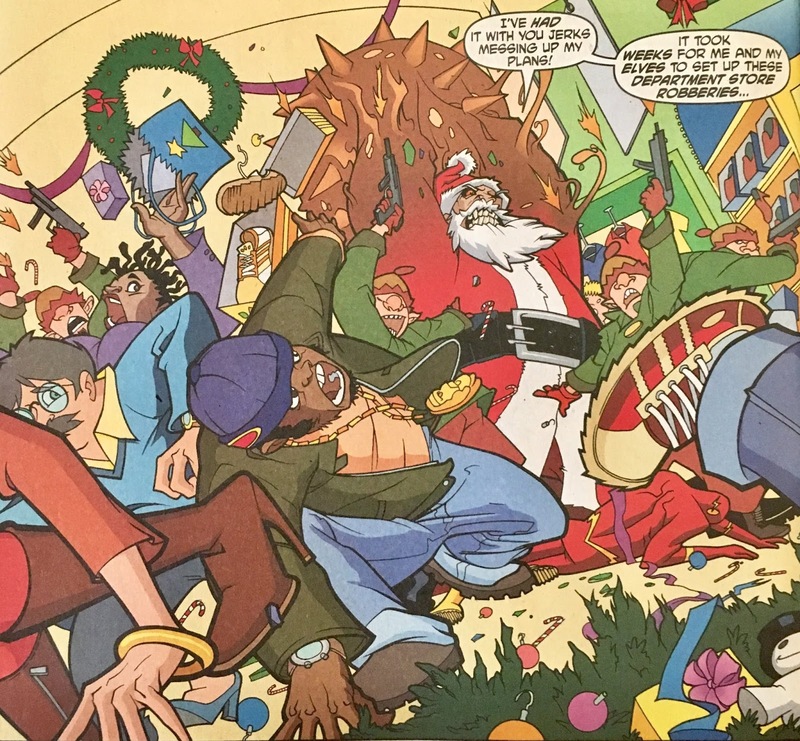 On this, the Seventh Day of Christmas on Infinite Earths, we're going to get a bit animated! 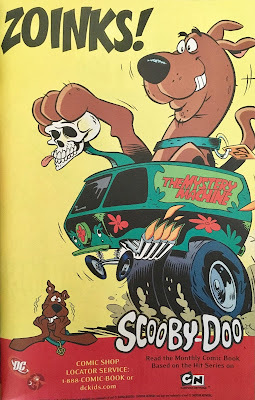 I know the last time we chatted up a book based on an animated series I mentioned that I'm not the biggest fan of the animated "style" in comics. I'm cool with it on TV, but really don't think it works in the books. Let's see if this Holiday issue changes my tune! We open with the Flash being knocked into a Christmas Tree by... Santa Claus?! Well, no... it's actually just Clayface in a Santa suit. Batman runs in... because that's what he does, and slings a 'rang at the baddie. What we don't immediately realize is that the Atom hitched a ride on the 'rang and was carrying a freezing compound which turned Clayface into an oddly-shaped Popsicle. 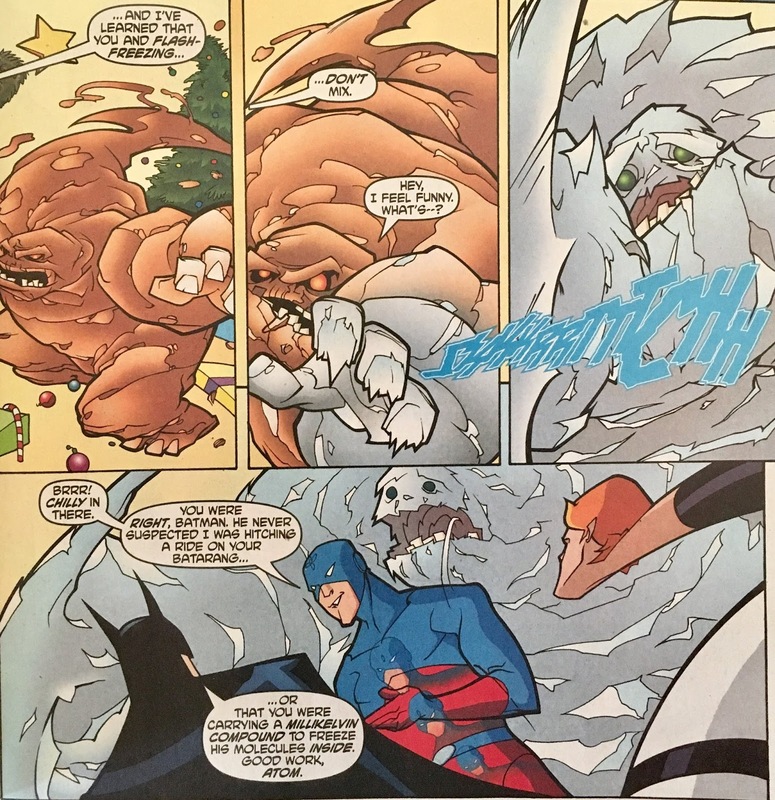 With Clayface out of the way, Batman turns his attentions toward... well, Wally. He lays into him for failing to secure the perimeter. He's got a really good reason though... ya see, he had a hot tip on a store that has Playtendo 720 in stock! Batman boots Wally off monitor duty and tasks him with tracking down one of Clayface's "little helpers" who had gotten away. And so, Wally shuffles off... dissing the Bat with every step. As luck would have it... he just so happens to wander into the path of a Stranger. A Phantom Stranger, even (as if the cover didn't spoil it!) 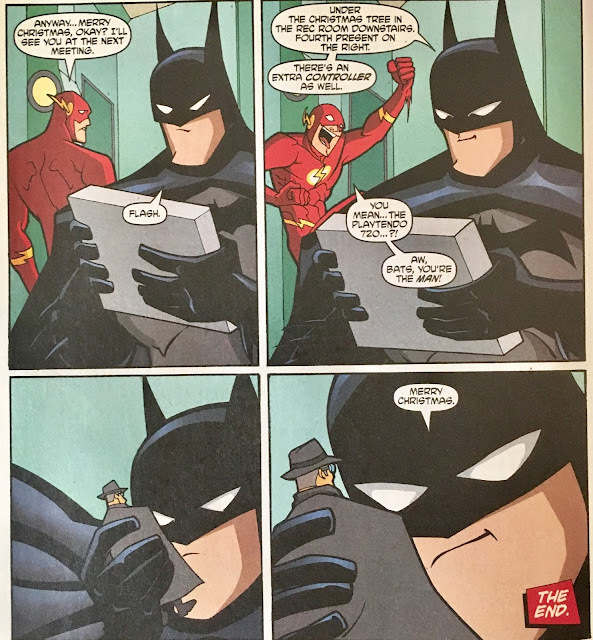 The Stranger tries to explain to the Flash why Batman is the way that he is... and when that doesn't quite work, he decides to show him! 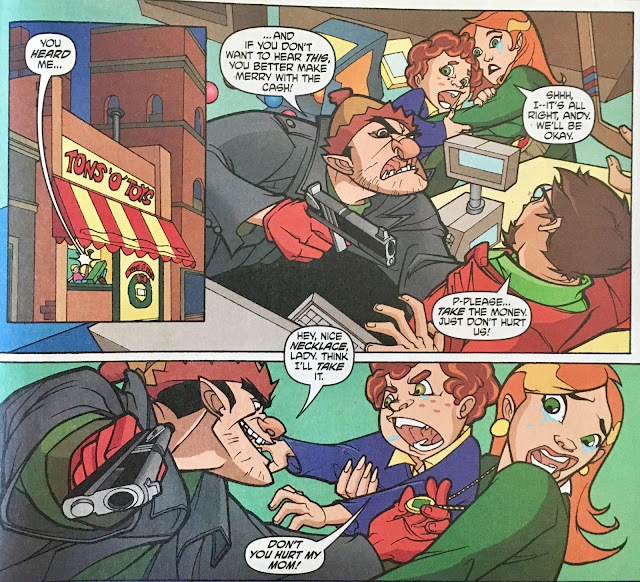 Their first stop is Christmas a few years earlier in Smallville. Superman and Batman had a bet... which Batman lost... which means he spends Christmas with the Kents! It's about as awkward as you might imagine. Later that evening, Clark and Batman (still in costume) begin to trim the tree. 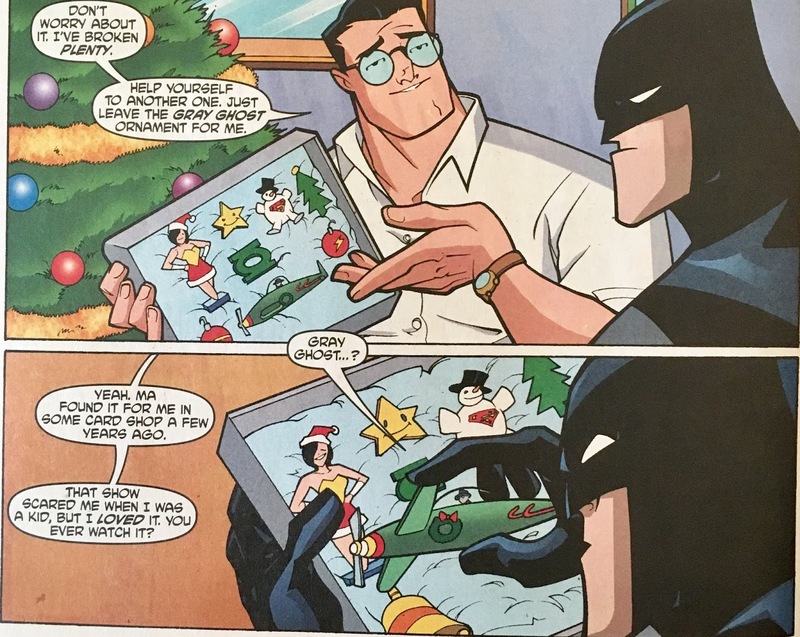 Clark shows off his collection of superhero ornaments... which includes one of the Gray Ghost. Folks might remember the Gray Ghost as the sorta amalgamated "pulp" character from that episode of Batman: The Animated Series... he was voiced by Adam West. Suddenly, Batman gets a distress call from Gotham City... and has to take his leave. 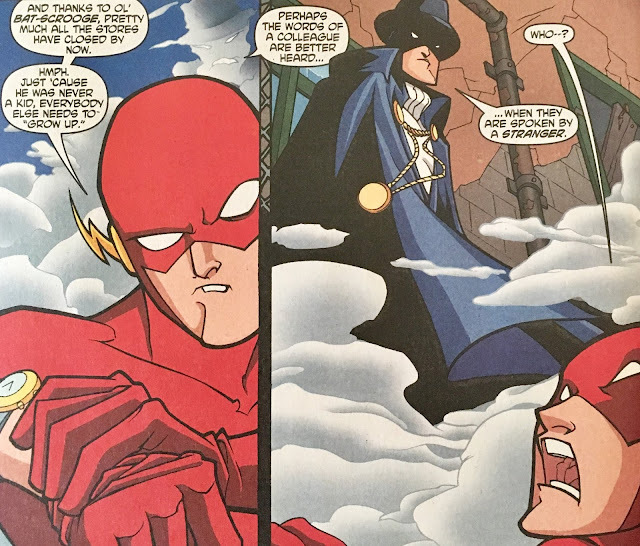 The Phantom Stranger informs Wally that there was no trouble... it was just Bruce's way of gittin' while the gittin' was good. He was too uncomfortable to remain in this "greeting card" version of Christmas... more on that, well... right now. 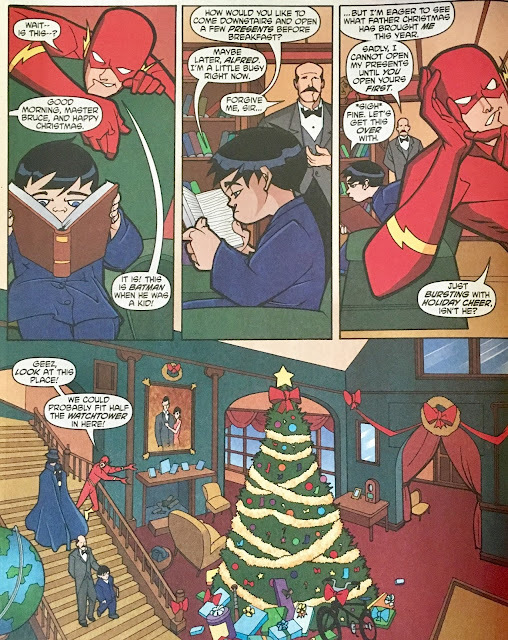 Next stop for Wally and the Stranger is Wayne Manor... the first Christmas following the murder of Thomas and Martha Wayne. 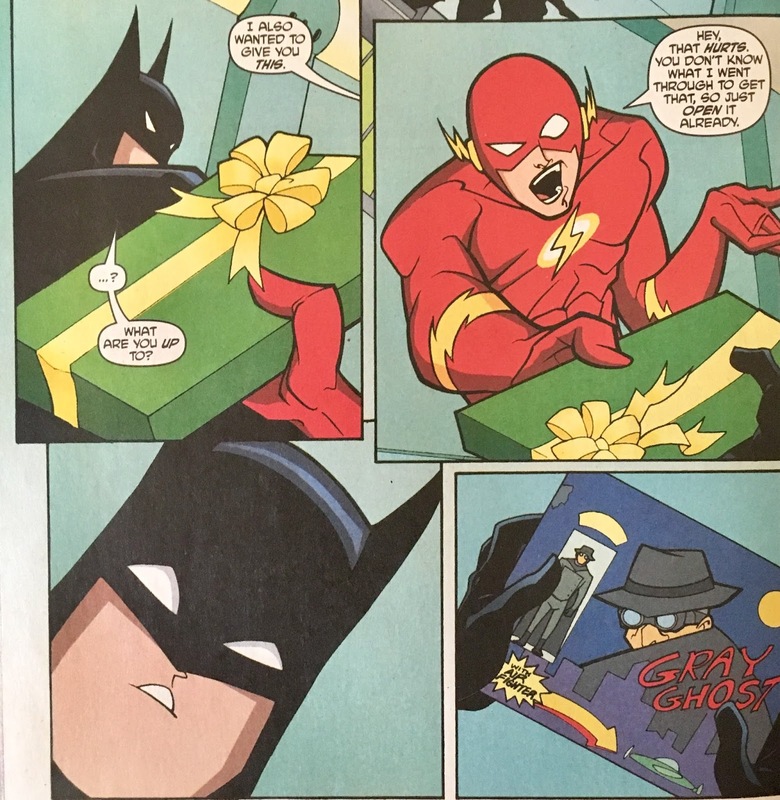 Young Bruce is anything but excited to open his gifts... but Alfred manages to convince him. 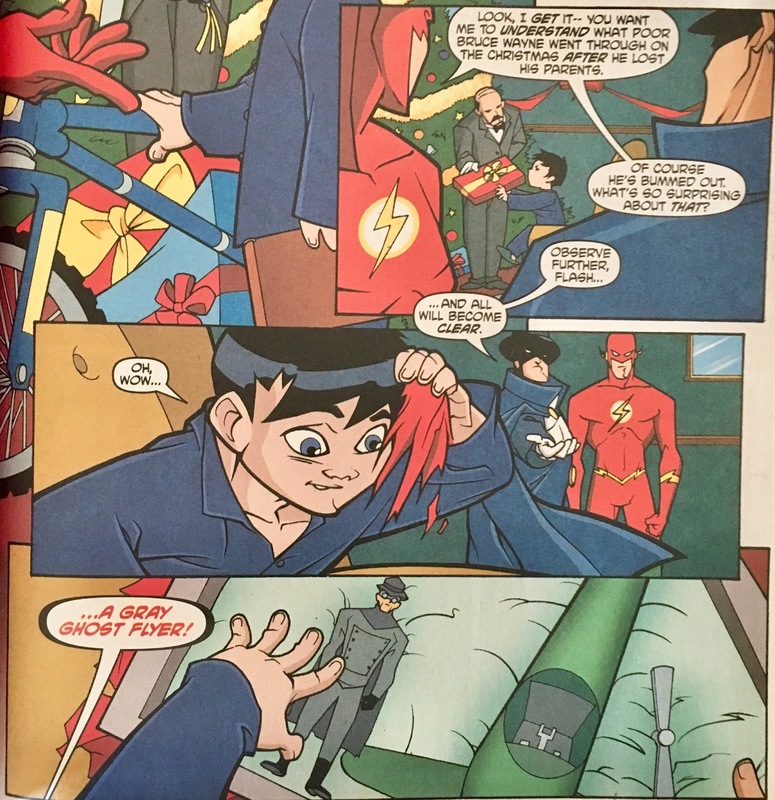 Young Bruce opens his presents... and isn't impressed in the slightest. That is, until he opens one containing a Gray Ghost action figure and Flyer! He immediately gets down to playing... soaring the flyer through the living room... running about, having fun. That is... until he notices the portrait of his parents on the wall. At that point he stops playing... and even apologizes! Ya see, it was the first time he ever took his eyes off the prize of avenging his folks... and it kinda shook him. Wally tells the Stranger that he's seen enough... and is dropped back into the present. As luck would have it, right outside a toy store... that is being robbed by that rogue elf! The Flash zips in and kayos the baddie in no-time flat. 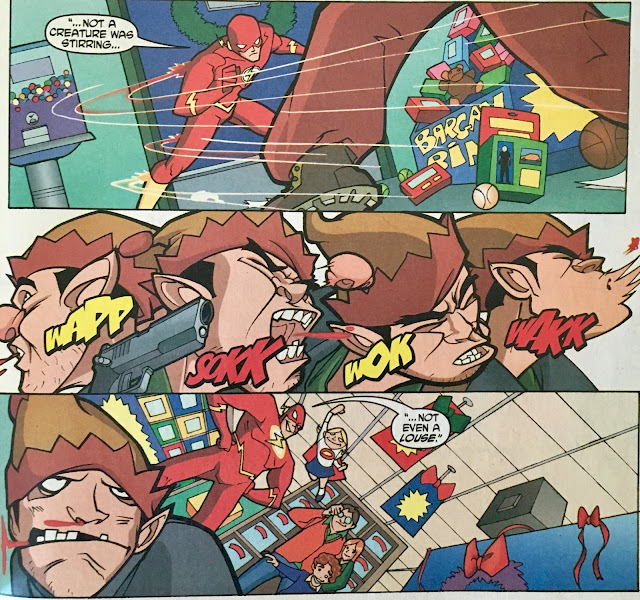 The toy shop owner thanks the Flash... leading Wally to ask for a favor. 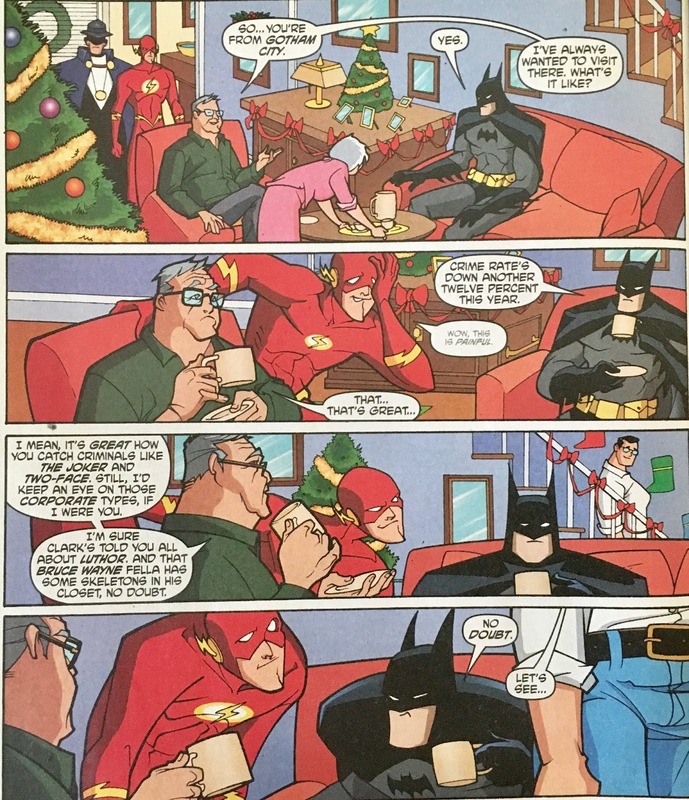 We rejoin him on board the Satellite... where he apologizes to Batman... and gives him a Christmas gift. You know where this is going, right? 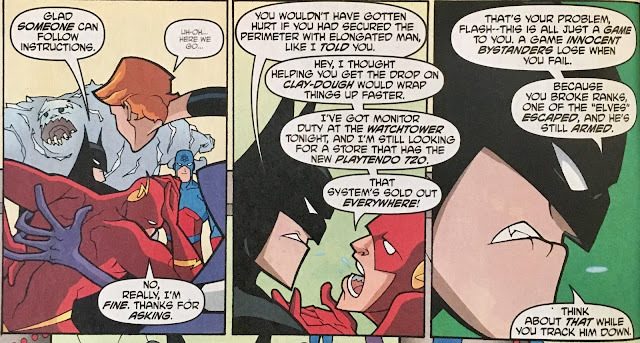 Batman smiles... and tells Wally that his gift (a Playtendo 720!) is under the tree waiting for him. Well, this was a really nice story! 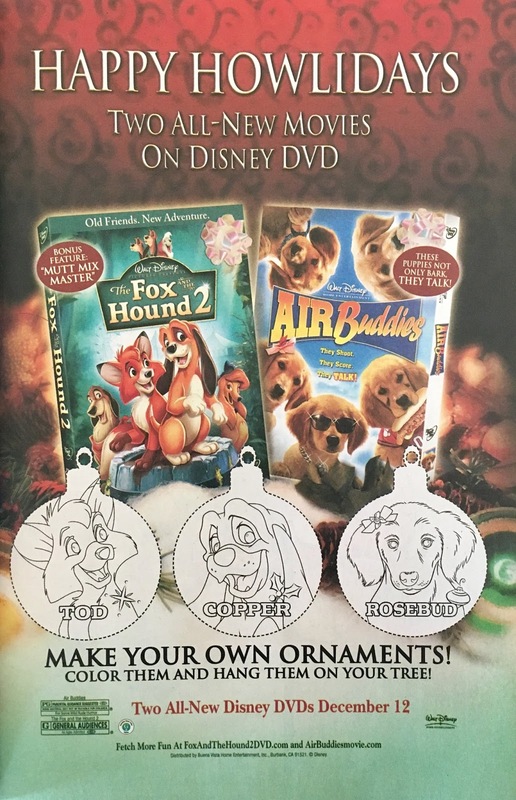 I didn't even mind the art style! This feels like something that would've made a really nice Christmas episode of the animated series... and for all I know, it was! I never really got into the 'toons... though, I'd be tempted to check this episode out should it actually be a thing. 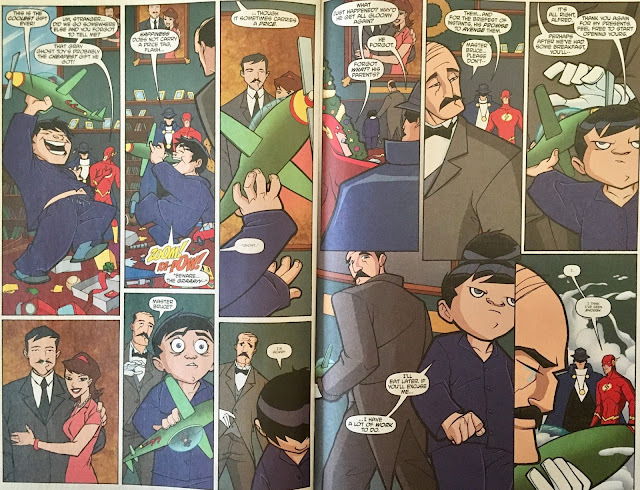 When I first started reading, and saw Batman immediately step in to save the day... I gotta admit, I groaned. That's one of the unfortunate constants between the cartoons and the comics, Batman is always the coolest, smartest, toughest guy in the room. So, when the Stranger showed up and took us back to the past, I was very much relieved! Sure, it's still a very Bat-centric story... but it's one that shines a light on his vulnerability and weakness. His faking a trouble-call to skip out on a Kent family Christmas is pretty uncharacteristic. I was happy to see it there... as it humanizes him, and definitely shows that there is a room somewhere on the planet where he's not the coolest occupant! 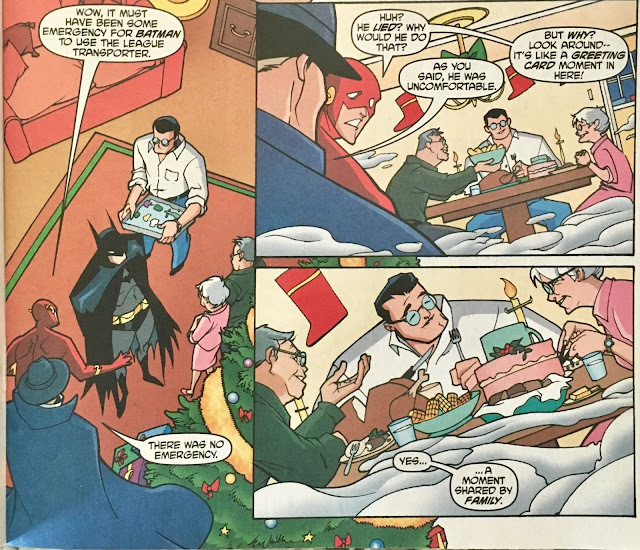 The Christmas morning scene at Wayne Manor... well, it worked and it didn't. I think it was a bit heavy-handed... and seeing a very tiny Bruce Wayne already driven toward vengeance was a bit weird. I think I always glossed over these early years... and automatically "jumped" Bruce to adolescence, and his world tour of training. Never really considered how he'd act while still a child. Maybe I just assumed more "catatonic" than "cynical". Dunno. The Gray Ghost bits were neat. 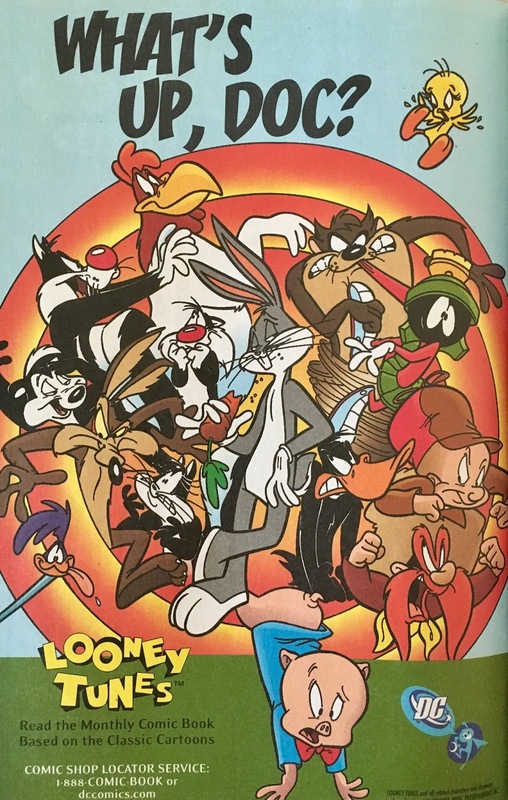 That was one of the episodes I remember watching from the original run of Batman: The Animated Series... and it's one I remember fondly. I think it resonated with a lot of fans... almost to the point where I'd list it as "cheap heat". 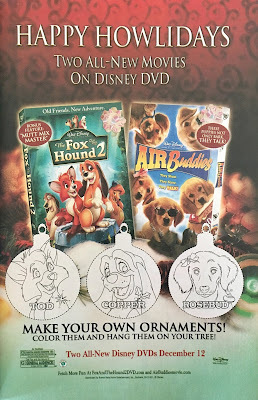 Not that it's over-used or anything... but to me, it feels like it's inclusion is just to tug on our nostalgia. That's not a bad thing... it's just a thing that is. And hell, I've never dodged the possibility that I'm just projecting! 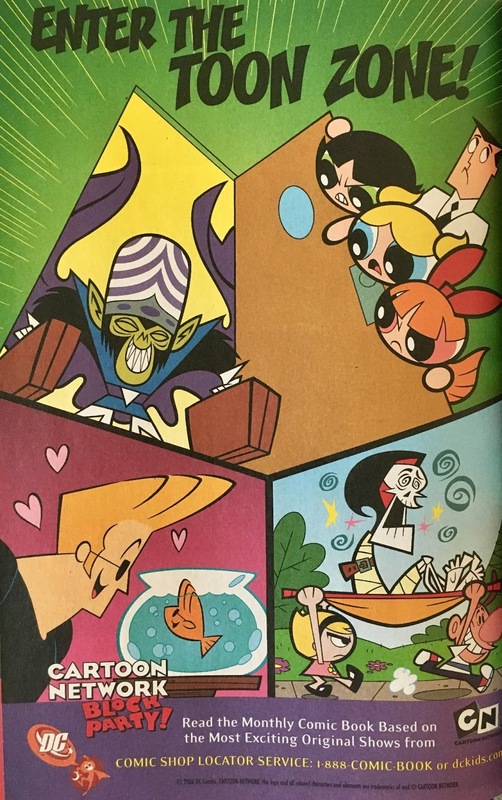 The art here was a fine blend of animated style and western comic style. 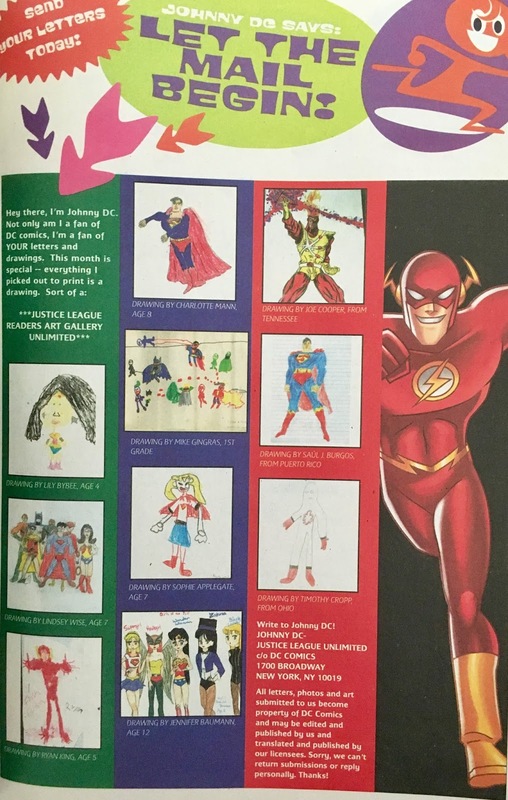 Looking at it (very) quickly reminded me of Scott Kolins' work... which is a good thing. Overall... I'd definitely recommend checking this one out... this feels like a good one to revisit every holiday season. It's available digitally... for only 99-cents! 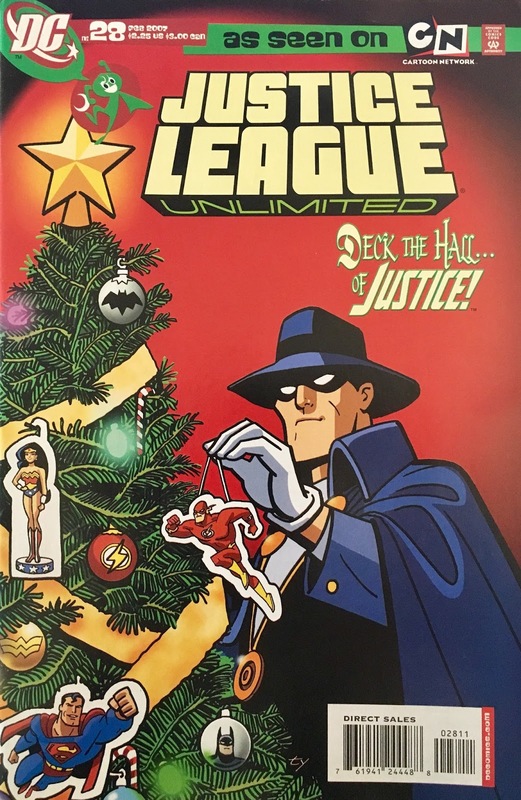 On the Seventh Day of Christmas on Infinite Earths, I give to you Justice League Unlimited #28, Shade the Changing Man (vol.2) #19, Action Comics #762! Young Justice #40, Superman: The Man of Steel #109, Green Lantern: Larfleeze Christmas Special, and a Red Hood and the Outlaws Annual #2 Review.